At the heart of Camp Wise is a compassionate and energetic team of 150 staff members. Our staff is comprised of dedicated leaders, working together to create a vibrant and comfortable Jewish community for our campers. Working at summer camp is demanding, with long hours, little privacy, and high intensity. The rewards are great – the joy of helping a child, the beauty of living in nature, and the excitement and fun of working as part of a hilarious, energetic team. Working at Camp Wise is an experience that will stay with you for the rest of your life. A counselor’s primary responsibility is their group of campers. Counselors are responsible for facilitating the daily routine; planning, leading, and participating in activities and programs for campers. Counselors serve as a mentor, coach, and teacher to campers are responsible for the physical, social, and emotional health, safety, and well-being. A successful camper summer is almost always tied directly to the relationship they develop with their counselor. Counselors must have patience, empathy, enthusiasm, and creativity as well as great listening and communication skills. Must be high-energy, enthusiastic, creative, and open-minded! The Specialist is the primary instructor in the Program Area who is responsible for planning and facilitating daily activities for small and large camper groups. The Specialist is responsible for designing meaningful and enriching skill-based activities for campers and building strong relationships with campers and staff. The Specialist’s primary role in camp is to run their program area, but they also have responsibilities to their cabin and village. The Specialist has two supervisors – one for your program area, and the other for your village duties. The Village (Unit) Supervisor is primarily responsible for supervising and mentoring a group of staff as well as ensuring the physical, emotional, mental and spiritual health, safety and well-being of all campers in their assigned unit. The Supervisor is fully involved in all aspects of the campers’ day including village programming, group management, community experience, and scheduling for campers and staff. 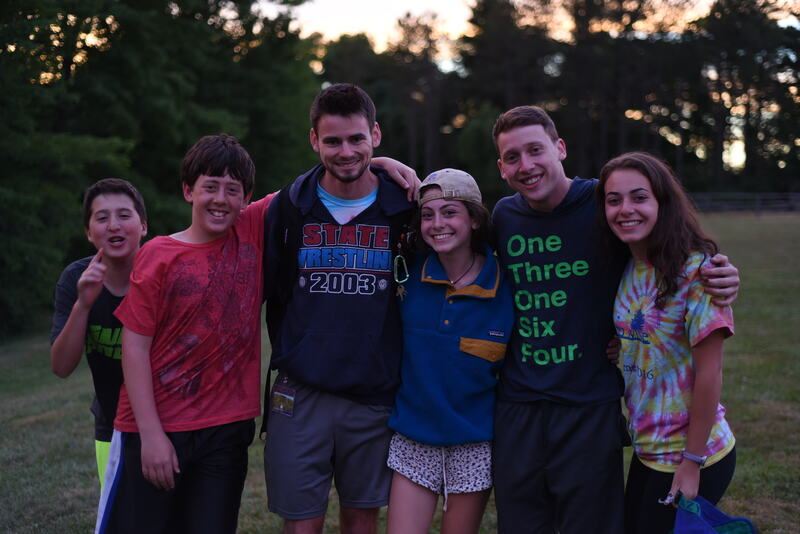 The Village Supervisor will work in tandem with the Assistant Director and broader summer leadership team at camp to ensure the positive resolution for any and all camper, staff, and parent issues that may arise. This position requires a person with a variety of skills and abilities to transition from one situation to another, quickly and intuitively, while also showing compassion and empathy for campers and staff. It is essential that the Supervisor is compassionate and patient, and should have extensive experience working with children as well as previous experience in a supervisory role. 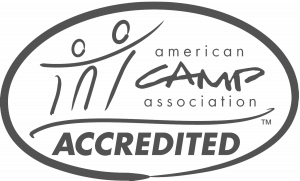 The Program Area Supervisor is responsible for the development of specialty-specific curriculum and overseeing the daily facilitation of the program and activities. The Supervisor play a key role in creating a vision and defining success for their program area which includes designing the daily schedule for program area staff as well as evaluating the program and staff on a regular basis. The Supervisor is a member of the broader summer leadership team at camp who are responsible for building strong relationships with campers and staff and ensuring positive outcomes for all in the camp community. The camp Social Worker, in tandem with the Director, Assistant Director, and summer leadership team, is responsible for ensuring the positive resolution for any and all camper and staff issues that may arise during the camp season. The Social Worker is expected to provide campers and staff with meaningful and critical guidance to make healthy, responsible, and respectful choices. The Social Worker plays a key role in training staff on topics including but not limited to: fostering positive social interactions, managing challenging camper behaviors and interpersonal disputes, identifying and supporting campers with special needs, homesickness and self-care. The Social Worker embodies Camp Wise’s core values in their interactions and decisions regarding camper care and is a positive, contributing member of the summer leadership team. The Social Worker is expected to create strong relationships with campers and staff alike and exhibit excellent written and verbal communication skills. This position requires a person with a variety of skills and the ability to transition from one situation to another quickly and intuitively while also showing compassion and empathy for campers and staff. This position does not have programmatic responsibilities but will be involved in and responsible for facilitating pre-camp training sessions and ongoing staff development throughout the summer. Most of our staff have been training for their jobs since they were a first-time Chalutzim camper. Over 85% of our staff members grew up at Camp Wise themselves and help carry on camp traditions like silly skits, Shabbat melodies and village cheers. We invest in the development of our seasonal staff and we see the direct benefits that additional training has on the campers and our camp community. We send our staff on a Taglit-birthright Israel trip planned specifically for JCC camp staff, to workshops designed to train them on the latest in their specialty area (like teva and nature), to the Foundation for Jewish Camp’s Cornerstone Fellowship (providing Jewish educational training to exemplary returning bunk staff), and more. Our supervisory team consists of young adults and professionals with specific training related to the area in which they work at camp. In addition to our home-grown staff, staff members also join us from all across the United States and Israel, and we even have staff from as far away as Australia, Mexico, and the UK. What are the important dates for the Summer 2018 camp season? What are the qualifications you look for when hiring staff? We look for significant experience working with kids, beyond babysitting. We look for people who have sought out leadership opportunities during the year, and want to make a difference for others. Our staff members have graduated high school. Some positions require additional certifications and/or training. We want staff members who can take a crappy rainy afternoon and make it the best day ever for their campers. We want someone who will go with their kids to the pool for swim lessons on a chilly day and strip down to their bathing suit and jump right in. We look for those staff members who are into being part of a team, and want to support the goals and the mission of Camp Wise. Do staff have days off? What about breaks during the day? All program staff receive five 25-hour days off during the summer. Support staff will have one day off per week. Daily breaks are built into every staff member’s day. This is time to nap, unwind, chill out, exercise, read, call family or friends, or go for a walk. All staff, even returning staff, must apply and have an interview. All new applicants are required to submit 3 references at the time of their application. You should call the Camp Wise office to schedule your interview one week after you have submitted your completed application. Interviews are conducted in person or over Skype. When is the deadline to apply for next summer? There is no deadline, however returning staff applications and new applications received prior to November 1 will be given priority. If I am a specialist do I still live with campers? Yes, at Camp Wise all of our program staff live in bunk with their campers. Counselors follow the daily schedule of the campers while specialists teach in their area during the camp day. Counselors and specialists share the responsibility of managing their bunk. All of our cabins have electricity. Some of them have bathrooms and showers attached to the building and for others the bathrooms and showers are in a separate building just outside the cabin. Staff sleep in the cabin with campers in a separated or designated area. I’m not Jewish. Can I still work at Camp Wise? Of course! We understand that our campers come for diverse backgrounds and it is important that we represent those cultures at camp as well. While we are a Jewish camp and our programming is based on our 6 core Jewish values we know that the sometimes the best soccer specialist will not be Jewish but will bring with her a wealth of new and creative ideas. 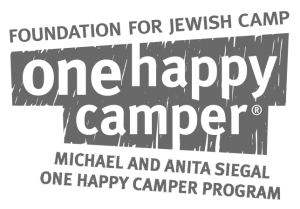 We ask our staff to participate in Jewish life and culture at camp to the level which they are comfortable.